Governments have an obligation to revise their policies, improve their border procedures, reduce trade costs and boost trade flows so that they reap greater benefits from international trade. This was said by Principal Secretary in the Ministry of Commerce, Industry and Trade Siboniso Nkambule, who represented Minister Manqoba Khumalo during the launch of the National Trade Facilitation Committee (NTFC) Empowerment Programme at Sibane Hotel yesterday. The NTFC is a unique inclusive body, which provides both government and the private sector to sit side by side and develop national policies on trade facilitation. It is important to understand that the private sector’s role is to shape government policies in a constructive manner. “I am greatly honoured and privileged to be part of this important occasion to launch the NTFC Empowerment Programme, exclusively delivered by the United Nations Conference on Trade and Development (UNCTAD). I have been duly informed that this is a flagship Programme for UNCTAD. 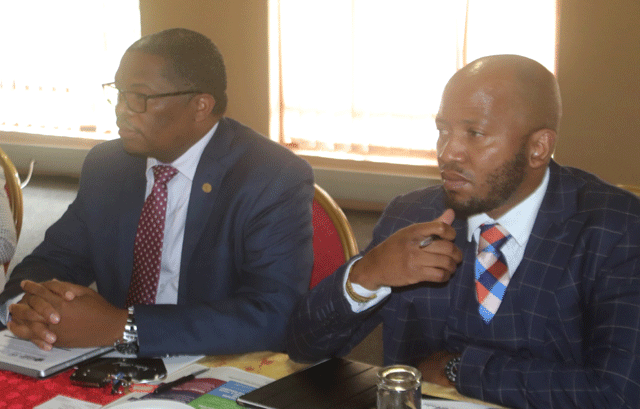 “I have also been reliably advised that Eswatini was not initially listed as a beneficiary to this programme, however, through mobilisation efforts by the Eswatini Revenue Authority; the country has qualified to benefit from this programme,” he said. Nkambule said, According to the OECD analysis of Trade Facilitation Indicators (TFI), data shows that trade facilitation measures can benefit all countries whether they are exporting or importing goods by allowing better access to inputs for production and greater participation in the global value chains that characterise international trade today. He said the potential cost reduction from a “full” implementation of the WTO Trade Facilitation Agreement was 16.5 per cent of total costs for low-income countries, 17.4 per cent for lower middle-income countries, 14.6 per cent for upper middle-income countries and 11.8 per cent for OECD economies. “Trade facilitation is a catalyst to economic growth. Trading across borders is one of the indicators of the World Bank Ease of Doing Business Study. While Eswatini continues to rank no 1 in Africa, its global ranking needs to improve as well. “Such rankings influence Foreign Direct Investors decisions in finding suitable homes. Studies have shown that countries that have embraced trade facilitation as a way of doing business are reaping greater returns including deriving benefits from international trade including small and medium enterprises,” he said. He stated that the combination of expertise in this committee would enable Eswatini to come up with informed cross border trade policies and strategies. He said they also acknowledged and believed that the WTO Trade Facilitation Agreement (TFA) would create a significant opportunity for us to improve the speed and efficiency of border procedures, thereby reducing trade costs and enhancing our participation in the global value chains that characterise international trade today. “As I have stated before, we are very excited to benefit from this programme to sharpen leadership skills for the committee. I was also informed that the empowerment programme for the NTFC is meant to equip its members on how to lead trade facilitation reforms in our Kingdom in a coordinated manner. “I also challenge the UNCTAD team to review the draft roadmap for mainstreaming trade facilitation to ensure that it addresses the challenges we are facing in a comprehensive manner.